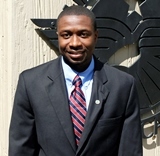 Congratulations to Mr. Brandon Spradley, the acting Director of the Sports Academy’s Continuing Education Department. He was recently ordained as a minster in a ceremony at Covenant of Grace Ministries in Collerville, Tenn.
Congratulations to professional golfer, Erik Compton, for earning a runner-up finish in the US Open on June 15th, in Pinehurst, N.C. Compton, a two-time heart transplant recipient, received the Academy’s Mildred “Babe” Didrikson Zaharias Courage Award in 2012. Compton finished 1-under par for the four rounds of the tournament. The United States Specialty Sports Association Global Sports Baseball World Series will be held from 17 June – 27 July 2014 and will be held at the Gulf Shores, Orange Beach and Foley Sportsplexes. The 2014 National Sports Safety and Security Conference and Exhibition will be hosted by the NCS4 from 8-10 July 2014, in Indianapolis, Ind. The 2014 World Congress of Sociology of Sport will be held from 9-13 July 2014, in Beijing, China. The 2014 Celebrate National Youth Sports Week will be held from 13-20 July, 2014. In honor of this week, a Physical Activity Expo will be held in the Rayburn House of Representatives Office Building Foyer on Capitol Hill in Washington D.C., from 11:00am – 2:00pm on Tuesday, July 15, 2014. The Fifth International Conference on Sport and Society will be held from 16-17 July 2014, in Rio de Janeiro, Brazil. The 2014 IMAGINE PEACE Youth Camp will be hosted by the International Olympic Truce Center from 26-31 July 2014, at the International Olympic Academy in Olympia, Greece. The National Senior League National Internet Bowling Championships will begin held the week of 10 August 2014. The 2014 World Congress on Special Needs Education will be held from 11-14 August 2014, at Temple University in Philadelphia, Pa. The 2014 World Leisure Congress will be held from 7-12 September 2014, in Mobile, Ala. The 2014 International Society for the History of Physical Education and Sport (ISHPES) Congress, “Global Perspectives on Sports and Physical Cultures: From Past to Present,” will be held from 22-25 September 2014, in Doha, Qatar. The 3rd World Scientific Congress of Combat Sports and Martial Arts will be hosted by the University of Rzeszow from 15-17 October 2014, in Rzeszów, Poland. The 12th International Symposium for Olympic Research will be hosted by the International Centre for Olympic Studies (ICOS) from 30-31 October 2014, at Western University in Ontario, Canada. The 2014 International Association for Physical Education in Higher Education (AIESEP) Specialist Seminar will be held on 7-9 November, 2014, in Timisoara, Romania. The 3rd edition of the seminar ‘Paths to Success: Inspiring Future Leaders in Sport’ will be hosted by the German Olympic Sports Confederation and the International Council of Sport Science and Physical Education from 14-16 November 2014 in Berlin, Germany. The Sports Movies and TV 2014 – 32nd Milano International FICTS fest will be held 3-8 December 2014, in Milano, Italy. The 2014 Sport Tourism Conference will be held from 10-12 December 2014, Coimbra, Portugal. The 2016 Summer Olympic Games will be held from 5-21 August 2016, in Rio de Janeiro, Brazil.